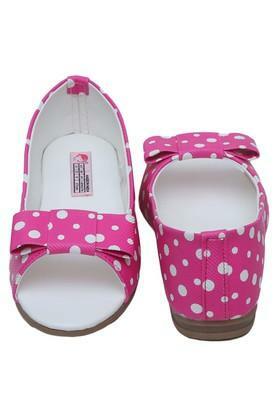 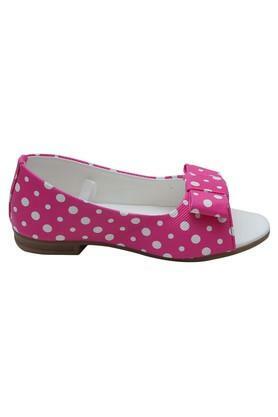 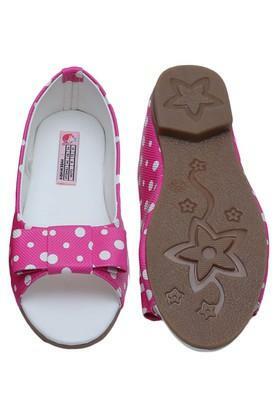 Your little princess will love to wear this pair of ballerinas from the coveted brand, D'Chica. 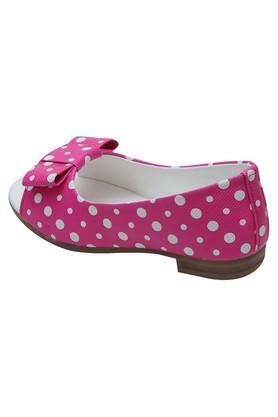 Adorned with prints, it also comes with a dainty bow detailing at the front that lends it a distinct appeal. 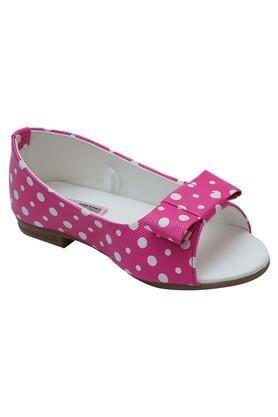 Besides, it features a peep toe that gives its design a nice elevation. With soft inner cushioning, this pair of ballerinas will ensure optimum comfort for the tender feet of your little one. Featuring trendy prints, it will look good with a flared dress.